“06880” readers circled around last week’s Photo Challenge. Others figured Burying Hill Beach or Cockenoe Island. In fact, it was the former Positano’s. Before that, the restaurant was Cafe de la Plage (and others). Always, it’s been on Hillspoint Road between Old Mill and Compo. I presume plenty of people will look for those pillars on their next beach walk. This week’s Photo Challenge shows a spot many Westporters know. Others have never heard of it. It’s well worth a visit. If you know where you’d go to see it, click “Comments” below. This entry was posted in Beach, Photo Challenge and tagged Hillspoint Road, Positano's restaurant. Bookmark the permalink. 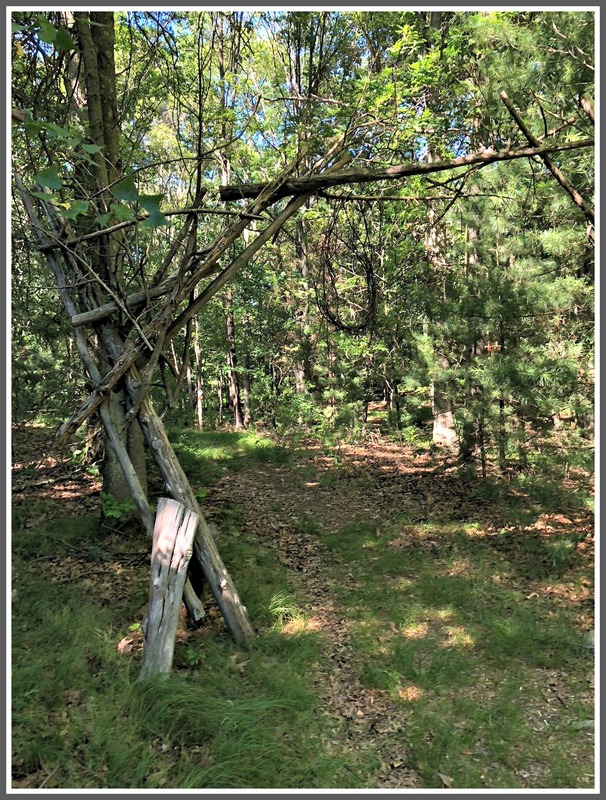 Natural Playground at Schine Preserve? Its the kind of stuff we used to build at Camp Mahackeno. Good job, Kristin – that’s it! Did anyone else notice that the “ivy” circling last week’s photo challenge looked suspiciously like bindweed, the bane of my gardening life!! How many people even know where the Preserve is? Right off the road that leads to the Bridgewater Associates parking lot. Who knew you can even drive in there?